I have had cola cans explode in my freezer. But I cannot afford to test this on my long neck beer bottles. Do beer bottles (or cans) explode in a freezer (of a typical fridge in a household) ? Yes, they will. Given beer is (generally speaking) more than 90% water, and water expands when frozen, beer will make a mess of your freezer if left in there too long. The bottles themselves don't tend to break, in my experience, but the cap seals fail and the beer will leak out everywhere. They do not explode (in a sense of explosion crushing your freezer) but may break. I have forgotten once three (different) bottles of beer in the freezer over night. Results: a) broken off bottom, b) sealed off cap, c) nothing happened (with the bottle, the beer turned to beer-ice of course). Bottles do not necessarily break or open. Seems to depend on the thickness of the glass. These three bottles stick together by ice. 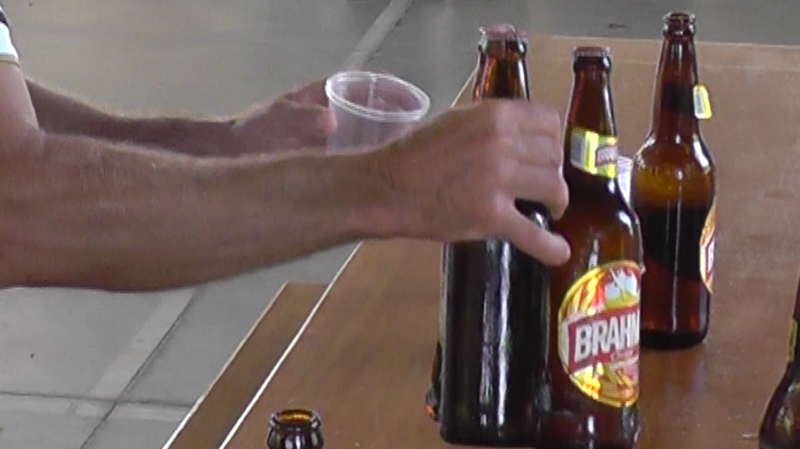 Brazilians love ice-cold beer. There is indeed the possibility that a bottle of frozen beer does not break. 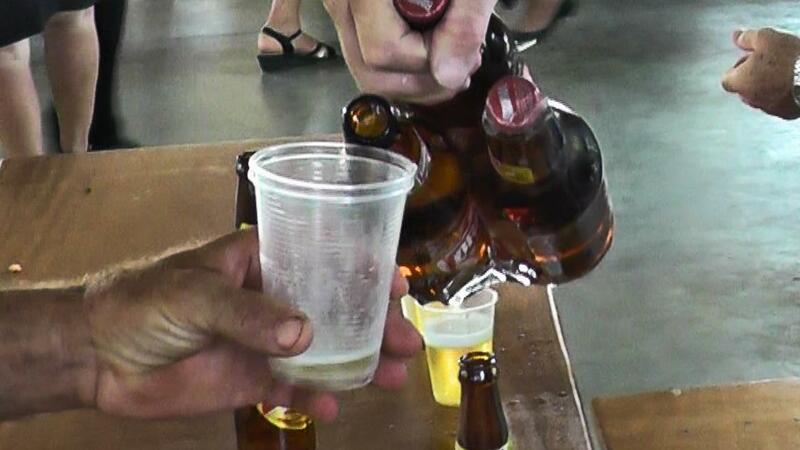 It depends mainly on the amount of alcohol in the beer and how the bottle was filled. You can expect that a normal beer expands by approx. 6.5-7.5% in volume when you start cooling at approx. 20°C. If the bottleneck can contain this volume increase, the bottle should not break. This would be usually the case with homebrews. The exact amount depends on how much alcohol and solids are in the beer, as ethanol does not expand when the temperature is lowered and solids do not change their density significantly. Depending on the alcohol content and the temperature of the freezer, the beer might not even freeze solid, or at least not fully, as ethanol lowers the freezing point substantially. With a bad freezer, high ambient temperature (e.g. on a hot summer day) or short freezing times, the possibility of breaking the bottles is rather low. Because ice has a very low compressibility compared to water and ethanol, you cannot expect that better and thicker bottles will solve the problem unless they have the necessary amount of elasticity. You could weld your beer into 2 inch thick cast iron and it would break just like your glass bottle. A better container would, however, be less susceptible to leaks. A modern beer can would most likely not survive the process because it deforms at the top and creates a leak at the lid. Are brown bottles sufficient to protect beer from skunking?